What Happens In my Body During a Flare? I asked my specialist this question a few months ago and he looked back at me like a rabbit trapped in the headlights, “I just match symptoms to drugs” he said, useless! I wanted to know what was happening to cause the brain fog, why I suddenly needed 2 hours more sleep, why I went from being able to do 50 press-ups to 5, where the crushing fatigue came from. Inflammation was the explanation on offer, although some of the times when I flared the worst my blood tests showed no inflammation. I still don’t know the answer to these questions, but I have a good clue. Thanks to my fitbit, my WIFI scales and MyFitnessPal food diary I now know very accurately how much I weigh, the calories I eat and the calories I burn. During the flare you can see on the right what happened to my weight. The blue arrow shows when I started to feel grumbles, the red arrow shows when the severe flare started and the green arrow shows when I started to feel better one day and worse the next, the decaying sine wave of recovery. All of this provides some basis for investigation, what happened to my hormone levels, or maybe the energy systems in my cells. 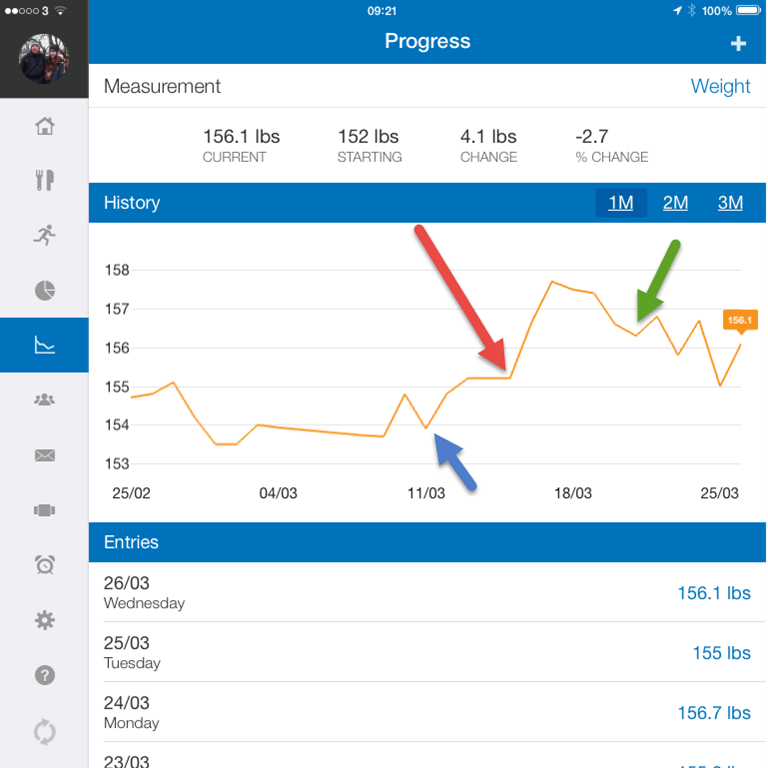 UPDATE: This same effect has now happened two more times, once I gained 2lb and the last time I gained 3lbs during a 5 day period, the increase was persistent, which rules out water retention I think. 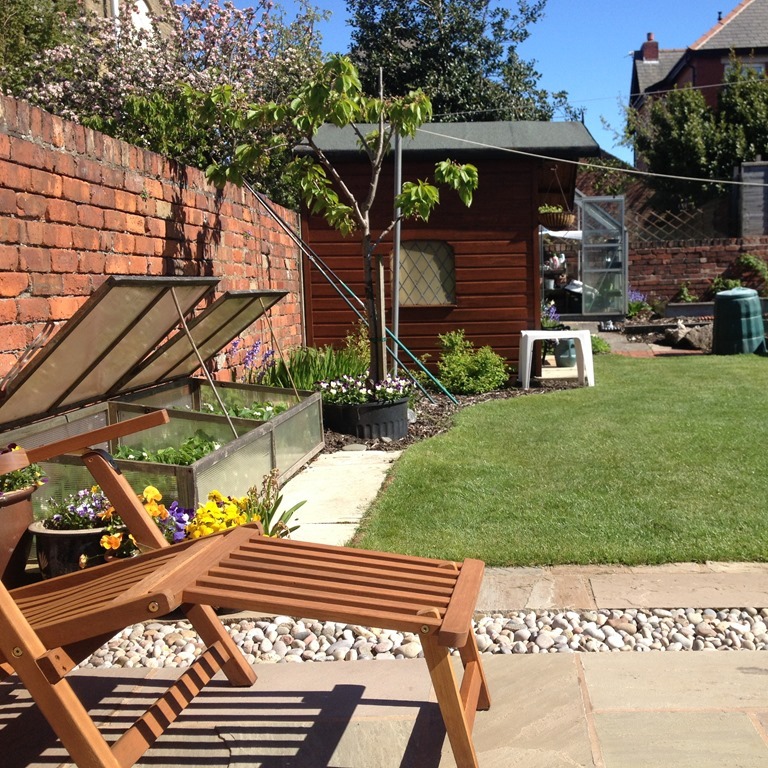 The picture shows my garden and the comfy chair (when it has it’s cushion on) where I spent my time sitting during this last flare, thank goodness for sunshine!